Effective Implementation of Simulation Software – Forge Technology, Inc.
Let’s say you are asked to quote a new job for a customer. You can very quickly generate a preliminary simulation, which gives you detailed information that allows you to accurately quote the job competitively but with a comfortable profit margin. The simulation arms you with the data necessary to quote the job with confidence. The simulation allows you to make a great presentation to the customer. Your sales people can go to the customer with QForm Viewer on a laptop computer and show the customer exactly what you intend to do. Video files and pictures can easily be generated and emailed. This is an extremely effective tool for communicating particularities of the forging with the customer. The impressive 3-D graphics also provides quite a “wow” factor, which can help give your shop the advantage, and allows you to represent to your customer that you are a technically advanced forge shop. You will be sure that when you start production on the new part, you will be producing defect free parts with a minimum of waste. Before you cut your first die, you will be confident of getting good die life with no premature die failure. Usually the savings in dies alone can easily justify the cost of the software! Once your process has been completely designed, your operators can play the simulation to see the particularities of the forging before they begin to run the job. They can see exactly how the material flows and what the forging should look like after each impression. 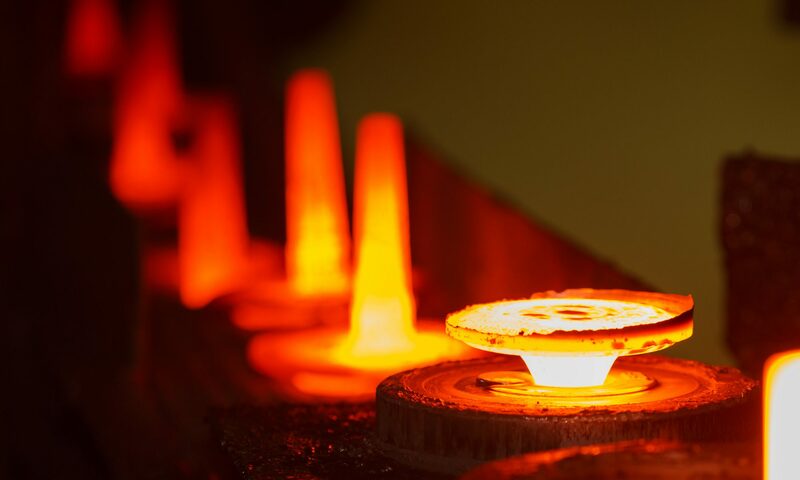 They can see if the forging needs to be flipped over between impressions, and they can see where lubrication is critical or how various billet placements will affect the forging.